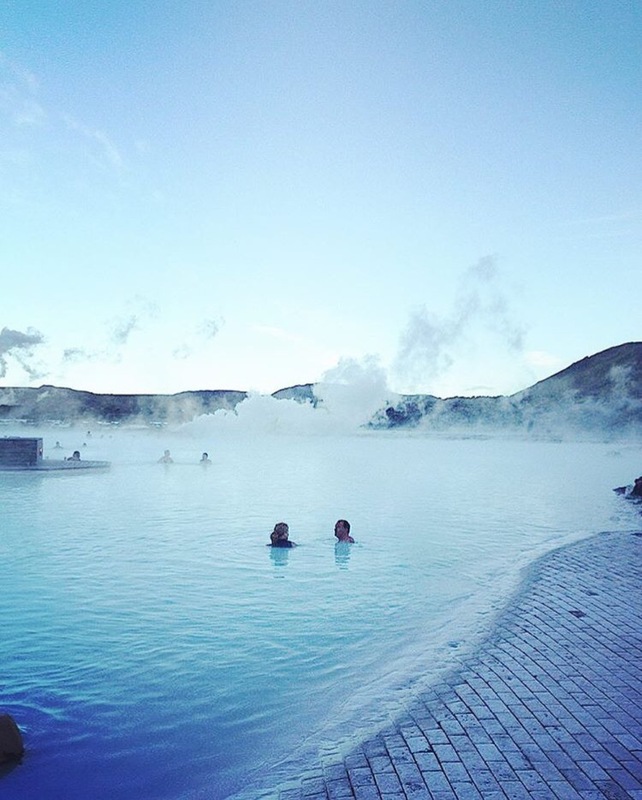 There are many things to do and see in Iceland and when booking a trip there you must go to one of the most famous destinations – the Blue Lagoon. Iceland had always been on my wish list of places to go, so for my 28th birthday I decided this would be the perfect place to go and celebrate. Looking at flights we found there was deal which included hotel stay and also an experience of your choice. Before you could say ‘Birthday in Iceland’ I’d booked us in for the Lagoon experience on our first full day – we needed to start our holiday in relaxation mode! If you’ve ever been to Iceland you’ll know that there is a lot of, in the nicest way possible, nothing as far as the eye can see. Getting the bus from central Reykjavik to the Blue Lagoon gives you a view of the landscape that Iceland has to offer. Volcanoes, fields, a bit of ocean, you feel like you’re not going to get to a tourist attraction any time soon. And then suddenly you see bits of blue water in amongst the field, then a bit more and then you’re pulling into the car park ready for a bit of rest and relaxation. There’s a buzz of excitement from everyone as you get off the bus. We went in September so the air was quite chilly but you already started to warm up as you crossed a small bridge over the thermal spa to enter the reception. Once inside you collect a towel before heading to the changing room. At this point you can see people already enjoying the waters of the lagoon and you’re ready to join them. It’s a bit of a weird feeling going outside in your swimming costume, ready to go from being cold to hot – usually it’s the other way around! But once you step into the lagoon it all makes sense. You just immediately feel peaceful. Luckily it wasn’t too busy so you could glide around, exploring all the different nooks and crannies. While enjoying the water you can pick yourself up a refreshment. Nothing says holiday like a glass of wine in a thermal spa! And of course you have to make full use of the clay found in the Lagoon – please apply liberally on your face and don’t worry about looking like a weirdo! This is the sort of place you could just sit in for hours, but unfortunately all good things must come to an end. After the mad rush between leaving the lagoon and getting back into the warmth of our clothes, we decided to have some food at the restaurant where we sighed as we watched other people still enjoying their experience, but still feeling calm after the wonderful swim. Even now I can still remember the tranquility I felt swimming in what was essentially the middle of nowhere, and I’d love to go back!